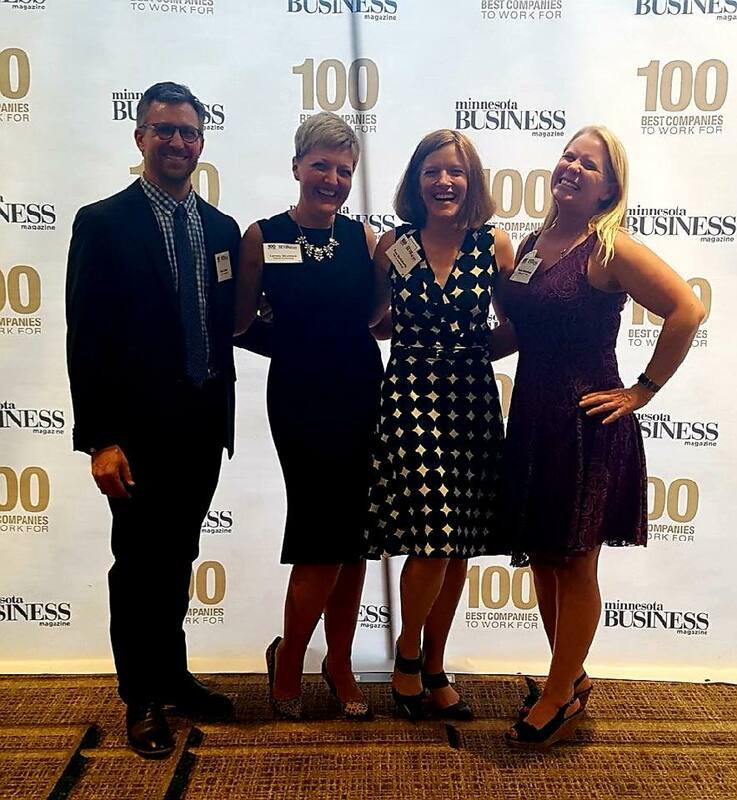 We’re thrilled to once again be named to the Minnesota Business list of the “100 Best Companies to Work For” in the Twin Cities. The award recognizes Minnesota’s top companies—as chosen by employee survey—for work environment, employee benefits, and overall employee happiness. How fun it was celebrate with other recipients at last night’s celebration at the Mall of America (as you can see by the laughter on our faces!). While it’s an honor to be included in this year’s list, it’s not necessarily a surprise to us. Why? Because feedback is a gift—and we’re constantly asking for it. Once every three months we conduct our ownemployee survey. And while we do get (and encourage) candid assessments, our team regularly agrees that Fathom Consulting is a great place to work. Why? We’re empathetic. We care about our work, of course. But we also care deeply for each other. We’re flexible. And that’s with each other and with our clients. We work where and when we have to. We adapt when the situation calls for it. We’re transparent. We share everything, and foster a culture of open and honest communication. We’re flat. We don’t do politics, hierarchy, or rank-pulling. We’re not here to claw our way to the top; we’re here to do great work together. We’re part of the community. We share our knowledge, mentor budding talent, and volunteer for organizations that are meaningful to us. And while these factors definitely make for a great employee experience, they also lend to the high-quality service we deliver to our clients. How do we know? In addition to surveying ourselves, we also survey our clients—after every project. As it turns out, hard work combined with a strong culture likes ours results in high client satisfaction as well. Everyone wins. Ready to work with the best? Let’s connect!